When you read the title of this post did you have the answer right away? How much are you worth? Who do you think you are right now? What will people pay in exchange for your products and services? If you are a company and a perfect stranger wants to invest in you, and they look into your life and work, do you think they will take the chance or skip it and go find another person to invest in? We have to all think about that, are you developing yourself, do you have confidence in yourself, do you trust what you do and do you trust that it can change people’s life for the best? The career you have the job you have, do you think you are worth it or more? Do you believe that you are giving all you can or are you performing under average? t have enough money or why they don’t have enough friends, they complain that everyone is to blame but not them. If you find yourself complaining, ask yourself what can you do better now to improve your future value? Like I said in my previous post, you create yourself, and by creating yourself, you determine your own value. See yourself as company and you are the president. What else do you need to make this company grow, to make profit, to stay in business to keep the president of the company happy. If we are not moving even for a little bit every day, if we are not doing something everyday that can add a little value to the company, than soon enough you will be out of business. Look around you, look at the industry that you are competing in, that you are part of, what are the other companies doing that you are not doing. How are they educating themselves, what are the actions they take. Learn from others and improve yourself. If you have no one to look up to, EDUCATE yourself. Don’t go out of business, remember, as long as you are moving fast or slow, as long as you are adding value, big or little, you are going in the right direction. Think of yourself as a company and you are the president, do you want to get bankrupt and lose your company, lose yourself? Don’t underestimate a little action, for the journey of a thousand miles starts with a single step (Lao Tzu). We build ourselves with the choices we make every day, deciding to do something, or not. When you leave your house in the morning, you will not come back being the same person. You have changed during the day, simply by the choices you have taken that day. Who you hanged out with? What were you thinking, positive or negative thoughts? Did you actually DO what you wanted to DO and know you have to DO or did you slack in discipline and left it? Be aware of what you are doing today because you are creating the person you will be tomorrow. If you are not happy with yourself at the moment remember that you brought yourself to that position. You have to take responsibility for that and fully understand it. Do not blame anyone for where you are now at the moment but yourself. 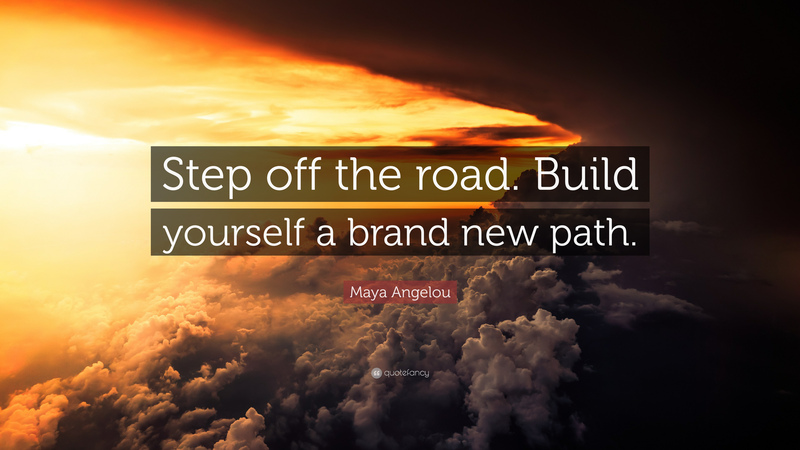 So now that you know that you BUILD yourself and you CREATED this person that you are now what would be your next step? Are you going to do the things you NEED to do in order to become the person you want to be tomorrow? Surround yourself with people who you see yourself with when you are successful, take the choices that you would take if you were already that person that you want to be. Ask yourself, will I do it like this or that if I was already where I want to be? Chances are NO, you would probably take different decisions because you would have a different mind-set, different priorities, you see things differently. Therefor, be aware of what you are thinking today, what you are eating, what you are doing, who you hang out with, and build yourself from there. Become the person you WANT to be. I have been trying to eat healthy since I came back from my holiday. I went to visit my families and when I am on a holiday I like to let myself go and enjoy all the food. I never calculate calories or such. Since I came back to Sydney, I made sure that there is always something healthy to eat in the fridge. Yesterday, I was lying down in bed and I could not sleep. Scrolling down Instagram I found some very creative ways of having my yoghurt with my Muesli and fruit. I could not wait for the morning to come so I can create something delicious for myself. Since I am injured and I cannot exercise, I thought to myself I have to eat healthy because I am not moving a lot at the moment. This breakfast was delicious, fresh, smooth and crunchy. Try it out and let me know your thoughts! Follow me on Instagram for more inspiration and motivation. To be able to enjoy your life and be simply happy doesn’t sound so simple at all. Many people say they will be happy when this happens or when that special person comes into their life or when they get a promotion. The problem with this attitude is that you will probably never be simply happy in your life. There is always something else waiting for us when we accomplish a goal. Many of us don’t see how lucky we are to be alive, to be healthy, to have a job, to have food on the table and a roof above our heads. These things are taken so much for granted, just because these things are the ‘basics’ of life. When as a matter of fact, THAT is luxury. It is a luxury to be alive in a free country, where you can speak your mind and do what you want. It is a BIG LUXURY to be healthy, walking and running and talking and moving and playing and working and traveling and reading without feeling any pain or being limited. It is a luxury to have food in your stomach and going to sleep in a warm bed. It is a luxury to have clothes to choose from in the morning, clean water to drink, and be able to go to the movies once in a while. If you can not see how lucky you are now, you will never be happy. The attitude that you show when you have the “simple” things in life with bring you the “bigger” things you desire. Going on a holiday far away, lying on the beach, sipping on your cocktail will mean nothing and it won’t even add anything to your happiness if you are not well. Luxury is when you recognize how lucky you are and how blessed you are in your daily life. Anything else that comes after that is just a temporary happy thing. It won’t keep you satisfied for the rest of your life. How many times do you feel sad when coming back from a very nice holiday, or when a great party just finished, or when you phone broke and you have to get a new one. Temporary happiness is fine and you need some of that in your life, but don’t let it take your focus away from the true happiness that you already have. 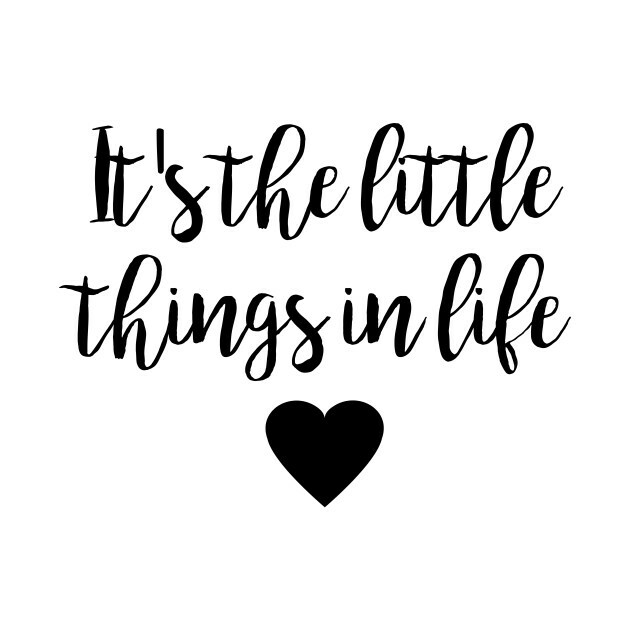 In the end the simple things in life are what count the most. We are all walking around giving people advice that need it and tell everyone what to do and how to solve their problems. What you preach, you have to practise yourself. What is the use of giving advice when you don’t even follow your own? Many say you have to be patience in life and what not, yet when they are waiting in line at the supermarket they count the seconds. People tell others to be nice and accepting of everyone and not to discriminate, yet when someone is different then them, they will be first one to point out the differences. Everyone posts on their social media to follow dreams, to go after what they want, to be positive, that happiness comes from within, yet all they do is complaining about their daily jobs and how bad they hate it. How they are unhappy and they are not living the life they wish to live. If you are a walking spiritual – religious – positive – happy guru, why don’t you take your own advice? Why is it that we have solutions for everyone but ourselves? We are too scared to look within, and our minds want to occupy the empty space that we have to solve our own problems with someone’s problems. We love to solve other people’s problems, we want to hear more complaining, more rumors, more problems because at least we are turning the focus on someone else. You can always help others, but don’t forget your own life. We can not forget ourselves, our beautiful souls need healing too. We need someone that can listen to us too. Not hearing our complains, but hearing our pain and help us heal it. When the time has passed, it will be too late to start thinking about what we could have done, should have done, should have healed, could have tried. Why is it that on our deathbeds we start thinking about our life, why don’t we think about it now that we are alive! Welcome to my website, and thank you for your visit. This blog is going to be mainly about things that we all face in life. Sometimes we have great experiences and sometimes we come across learning experiences. Nothing is good and nothing is bad except the way you react towards it and what your perspective is. Take what you wish from my blog and adopt that into your life, leave behind what you do not agree with, and form your own life. Embrace the change and welcome once again!